” by Kay Springsteen. Springsteen’s prose is so smooth it all but disappears, letting the story take center stage. To me that is the mark of an excellent writer. Her words painted vivid pictures in my mind. The story’s main characters, Lady Ivy and Philip Green — or rather, Noel Phillip Vincent Greenstone, the Twelfth Duke of Greenbriar — are vividly drawn, very human, and very likable. I very much enjoyed reading this book. “The Toymaker” isn’t a page turner. I had no trouble putting it down as I moved through the day, but every time I paused the gentle story called to me. The romantic stumbling block in the story was a little contrived and could have been solved easily, but that seems to be a time honored romance story tradition and was easily forgiveable. 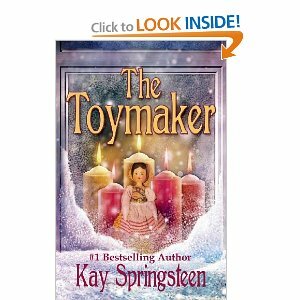 All-in-all, “The Toymaker” by Kay Springsteen was the perfect, leisurely Christmas Day story and for the most part I read it while sitting in front of the fireplace draped in a fluffy blanket. Lady Ivy Plumthorne, elder daughter of the Duke and Duchess of Wythorpe, is a worry to her parents. Desiring only that she be as happily wed as her younger sister, they’ve spent the past year parading prospective suitors in front of her. When she finds none of the suitors… suitable, her parents despair she will ever find the perfect husband. With Christmas approaching, they find one more prospective suitor, the Duke of Greenbriar. Only problem is, Ivy’s already met the man of her dreams… and he’s a toymaker. Noel Phillip Vincent Greenstone, the Twelfth Duke of Greenbriar, wasn’t cut out to be a duke. He preferred crafting toys that made children happy. So that’s just what he did. And as Phillip Green, he traveled freely about, visiting shops and orphanages, and making no child went without a toy of his or her own. But a few chance meetings with Lady Ivy and he knows he wants to spend the rest of his life with her. The problem is, she needs to marry a nobleman and she only knows him as Phillip the Toymaker. He needs a plan, and fast. The world needs to meet the reclusive Duke of Greenbriar, so Phillip plans his own coming out. But how will Ivy react when she learns the truth? 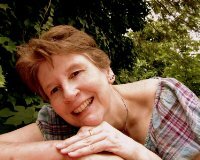 Astraea Press is a royalty paying e-publisher dedicated to supplying clean reading material to an eager public. I received this book free of charge from Kay Springsteen and with no strings attached. This review was not purchased and reflects my honest, unsolicited opinion. ← I’ll Leave the Olive, Thank You.